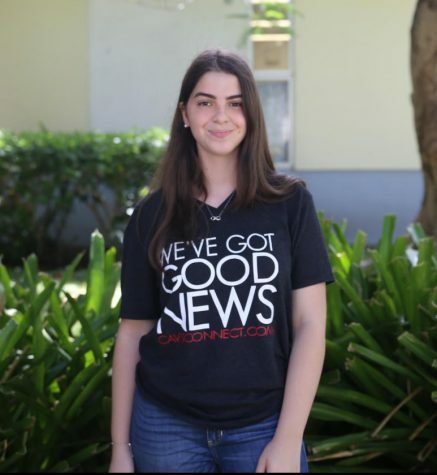 Melanie Estrada is an International Baccalaureate (IB) freshman at Coral Gables Senior High who is excited to be a part of CavsConnect as a staff writer. Estrada attended Auburndale Elementary and Ponce de Leon Middle where she was greatly involved in school activities. Outside of school, Melanie loves to travel. She's visited places like the Bahamas, Dominican Republic, Mexico, Cuba, France, Italy, Switzerland and soon Chicago with CavsConnect. Some of her favorite pastimes include taking pictures, volunteering, and spending quality time with friends and family. She is interested in joining clubs such as the International Baccalaureate Honor Society (IBHS), Best Buddies, Gables Earth and the National Honor Society (NHS). She also hopes to make the best out of her high school experience. Furthermore, she jumps to the opportunity to do anything different that may help her become a better student and benefits Gables. Estrada hopes to one day become a successful cardiologist!